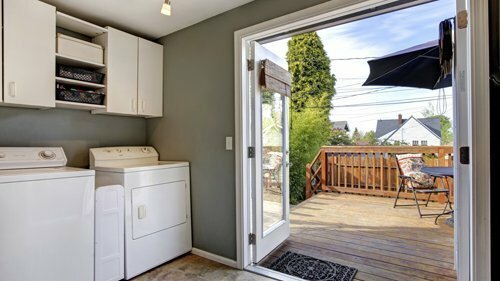 Laundry rooms need to be beautiful and functional and require careful planning by skilled designers. Bathroom Concepts can transform even the smallest laundry space in Adelaide, using up-to-date design, storage options and time-saving functions. Gone are the days when washing machines and laundry appliances need to be hidden away in the corner of a room. With our help, you can install laundry renovations which are designed to serve their purpose while being an elegant feature in your home. From design to installation, our qualified team are well-known for their efficient workmanship, great service and exceptional results. With such a large range of laundry renovations and bespoke options to choose from, we’ll help you to realise that your laundry is a room you can enjoy spending time in. We will guide you through a host of traditional and contemporary design ideas and stunning fixtures including storage, hanging space, lighting, sorting areas, and a whole lot more. Whatever your needs and budget, our respected designers will create laundry renovations that look attractive and suit your lifestyle. Our aim is to add space and value to your home with smartly designed laundry renovations that make doing the laundry seems less of a chore. At Bathroom Concepts, we achieve this by using high-quality products and the latest techniques to ensure they stand the test of time.